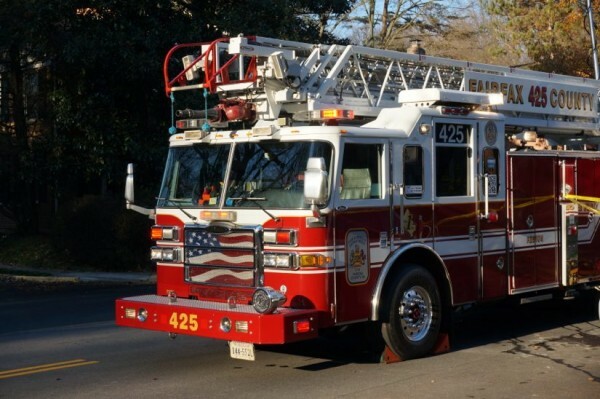 The National Weather Service has issued a warning indicating critical fire weather conditions for Fairfax County and the D.C.-area today (April 3). The Red Flag Warning is in effect from noon-8 p.m. 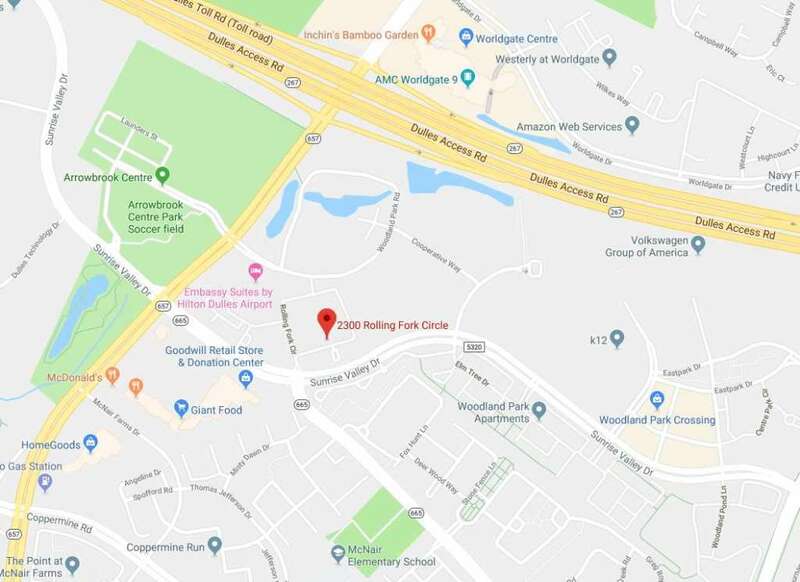 The National Weather Service in Sterling Virginia has issued a Red Flag Warning for strong winds and low humidities, which is in effect from noon today to 8 PM EDT this evening. 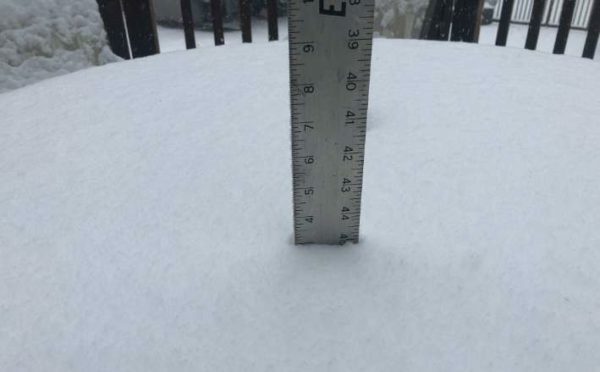 * WINDS…West 15 to 25 mph with gusts up to 35 mph. * IMPACTS…Gusty winds and very dry air will create conditions that may promote the rapid spread of wildfires. Prescribed burns may get out of control. Outdoor burning is not recommended. * HUMIDITY…20 to 25 percent. * FUEL MOISTURE… Less than 8 percent. A Red Flag Warning means that critical fire weather conditions are either occurring now, or will shortly. A combination of strong winds, low relative humidity, and warm temperatures can contribute to extreme fire behavior. 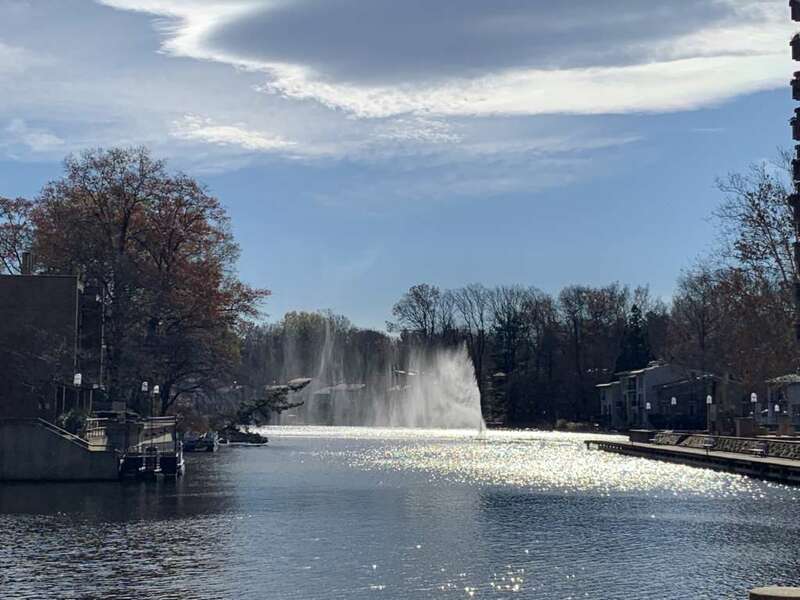 Reston is expected to hit a high of 65 degrees today with sunny weather and winds around 17 miles per hour, forecasters say. 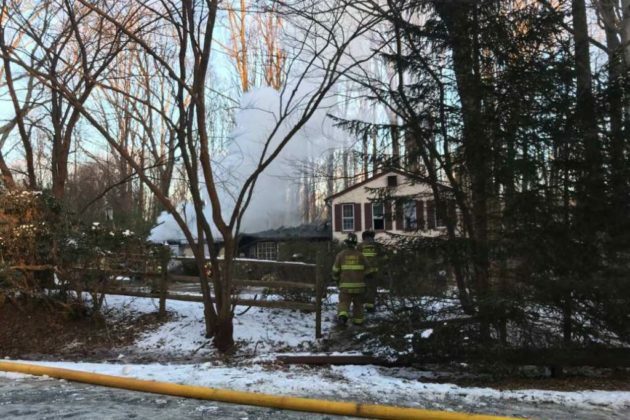 A combination of strong winds (15 to 25 mph with gusts up to 35 mph), low relative humidity and warm temperatures may help fires spread rapidly, Fairfax County Fire and Rescue wrote in a post. The fire department is using the Red Flag Warning as an opportunity to remind residents that improperly discard cigarettes are a fire hazard. 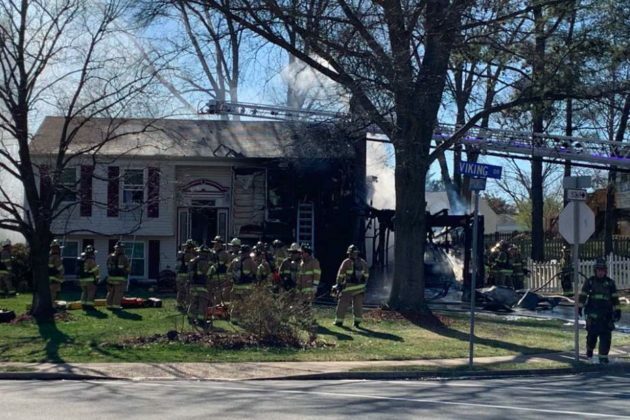 (Updated at 12:35 p.m. on April 1) Firefighters are “hitting hot spots” at a now-out fire in a home by the Fox Mill Elementary School. The fire in the garage extended to the attic, according to tweets from Fairfax County Fire and Rescue. 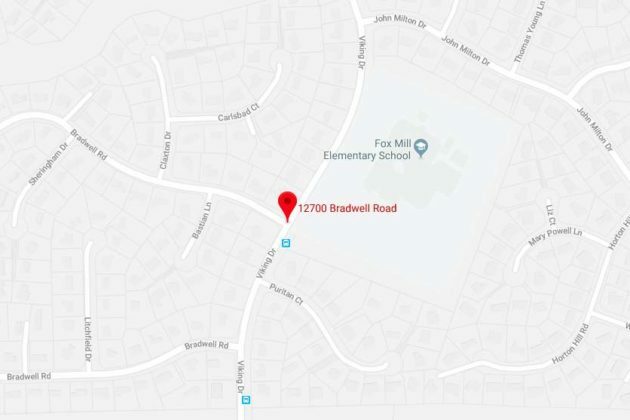 The fire broke out at a two-story single family home in the 12700 block of Bradwell Road around 4:30 p.m.
A neighbor alerted the three people inside the home to the fire within the attached garage, the fire department said. 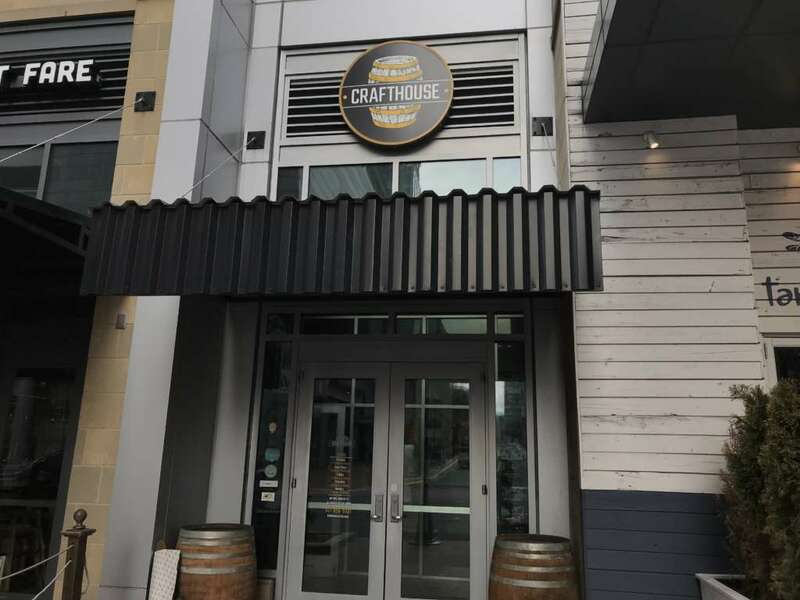 “Working smoke alarms were present, however, it is unknown if they activated due to the location of the fire,” a post from Fairfax County Fire and Rescue said. The three people were taken to a nearby hospital for a check-up according to the fire department. The three people accepted the Red Cross’s assistance. Fire investigators are still investigating the cause of the fire, which caused $107,500 worth of damages. 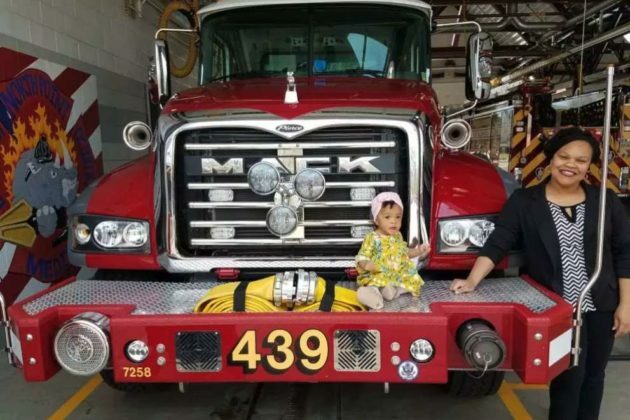 Happy birthday to 1-year-old Lauryn, who local firefighters and paramedics in Reston helped deliver last year. 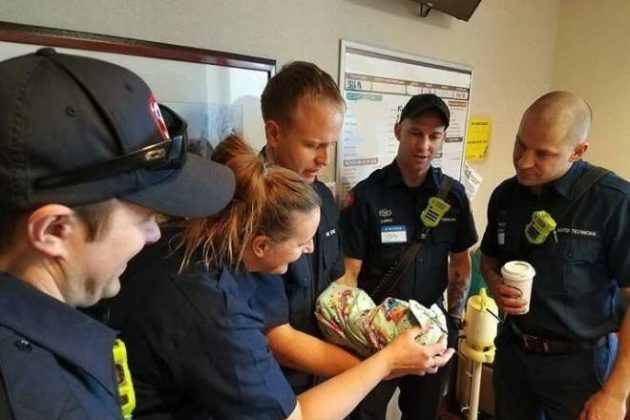 Last year, Fairfax County Fire and Rescue members from Station 39 B-Shift in North Point received a call to help deliver a baby girl at a local home shortly before 11 p.m.
After the birth, the mother and baby were transported to an area hospital, and the paramedics and firefighters continued working for the rest of the night. 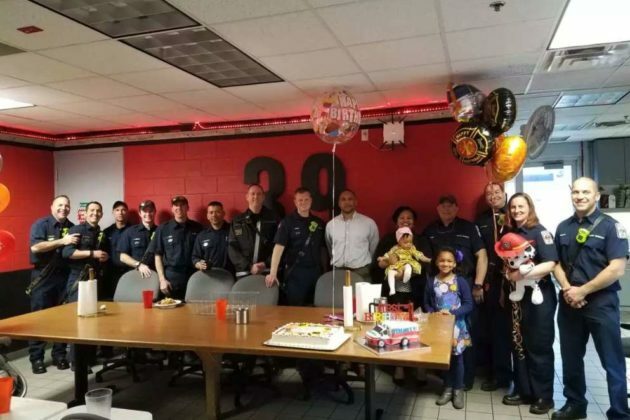 Fast forward one year later and the family of baby Lauryn reached out to the members from Station 39 to join in the birthday celebration. 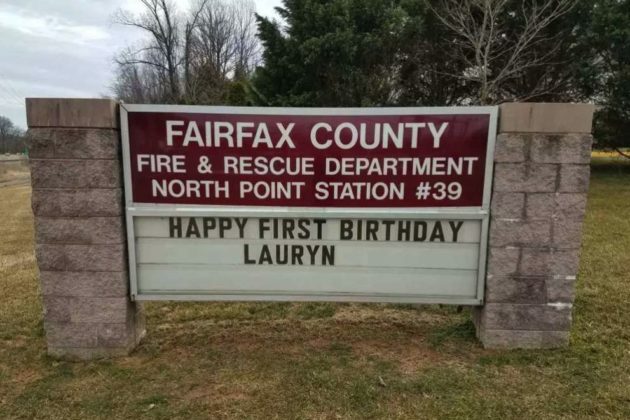 The birthday bash included a “Happy First Birthday Lauryn” sign outside the fire station, two cakes with one of them shaped like a miniature fire truck, balloons and a photo shoot with Lauryn and mom by a fire truck. 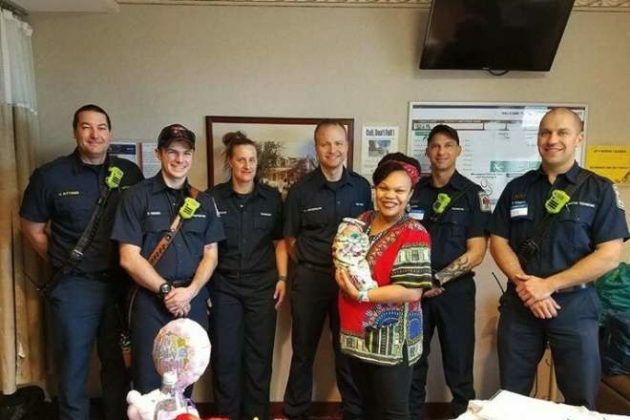 “Cake, balloons and Lauryn’s big sister, who was a big help during the delivery, were all part of the celebration,” the fire department posted. 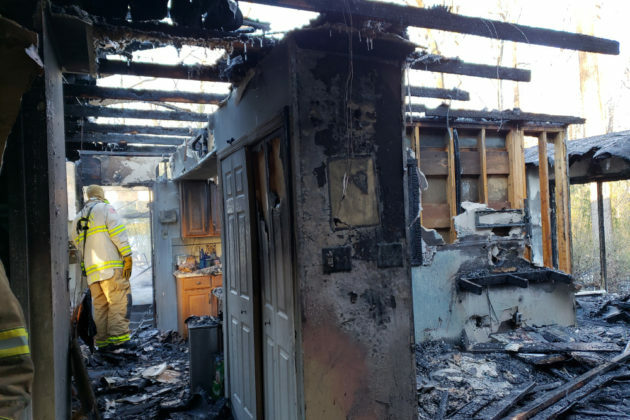 Fairfax County Fire and Rescue wants to remind locals that fire sprinklers can help save lives and decrease damage when a fire breaks out. 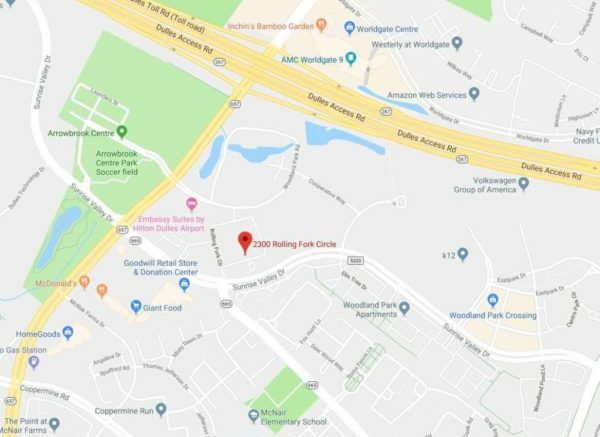 The fire department has been highlighting how firefighters recently responded to a call and found a dryer fire in a Herndon apartment doused by sprinklers. The fire broke out on Sunday (March 10) in a four-story apartment building in the 2300 block of Rolling Fork Circle in Herndon. 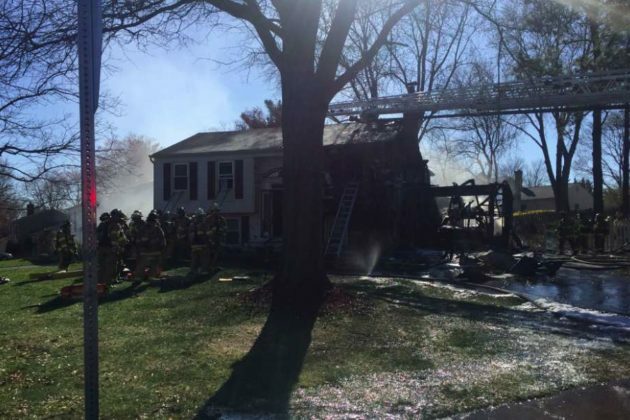 The one person who was home at the time of the fire was not injured, the fire department said. Fairfax County Fire and Rescue said the fire caused about $500 in damages. 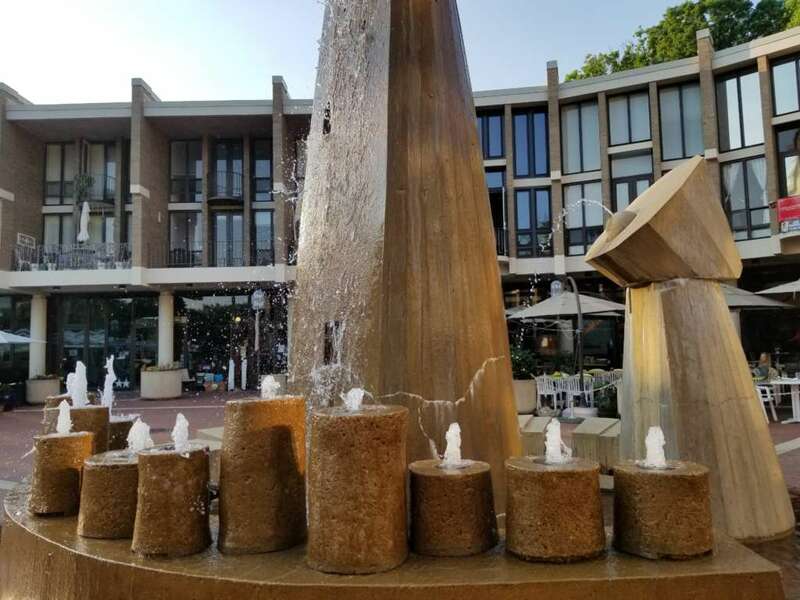 The fire department has been sharing the story of how the sprinklers calmed the fire, along with a U.S. Fire Administration video that details the multiple benefits of sprinkles. The video also includes an example of how sprinkles manage fires and highlights that insurance discounts may also be available. 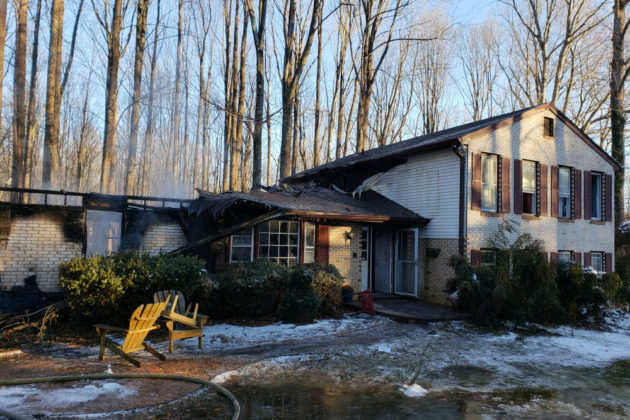 A fire that broke out in a Herndon townhouse on Valentine’s Day has left two people displaced and caused roughly $115,000 worth of damage. 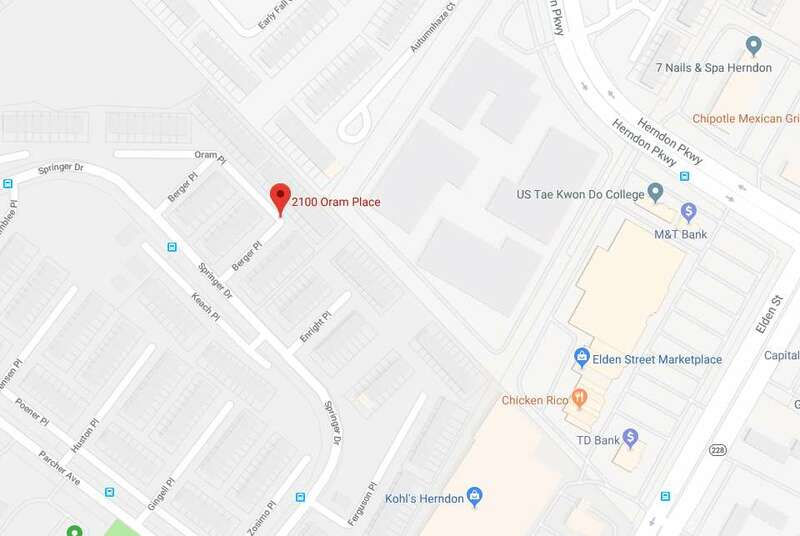 Firefighters responded to the fire at a two-story, end-unit townhouse in the 2100 block of Oram Place shortly after 4 a.m. yesterday (Feb. 14), according to Fairfax County Fire and Rescue. 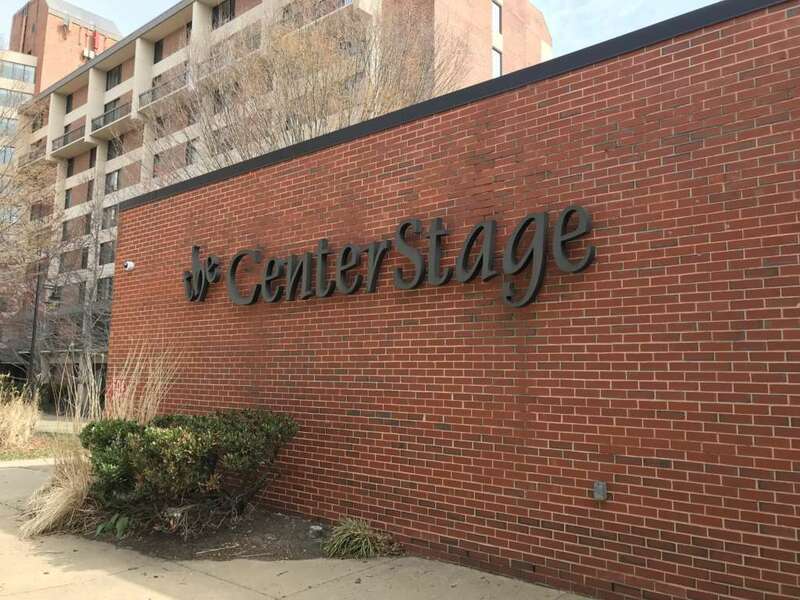 Crews saw smoke when they arrived on the scene and “quickly located and extinguished a fire in the basement,” the fire department said. The two people in the townhouse evacuated after smelling an odor of smoke and called 9-1-1. They accepted assistance from the Red Cross. Fire investigators say an electrical malfunction in the furnace caused the fire in the basement by accident. 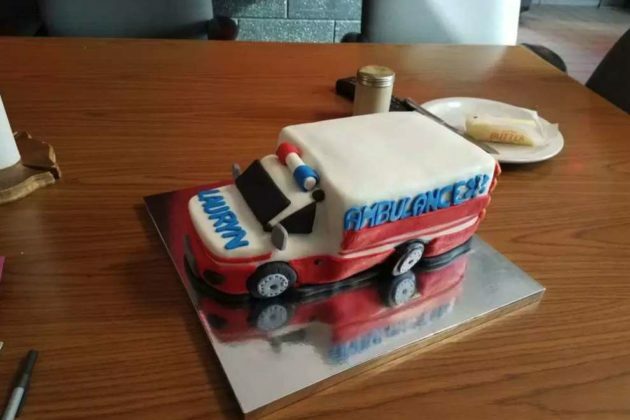 No one has reported injuries. 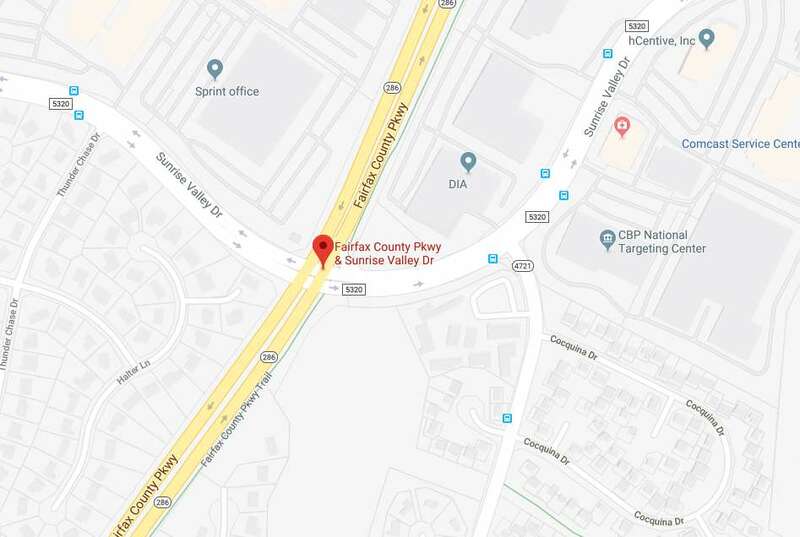 Updated at 3:15 p.m. — All lanes of Fairfax County Parkway are open, according to a Fairfax County Police Department tweet at 2:42 p.m.
Northbound on Fairfax County Parkway near Sunrise Valley Drive was shut down around 1:20 p.m. as crews work to free a trapped driver from a crash. 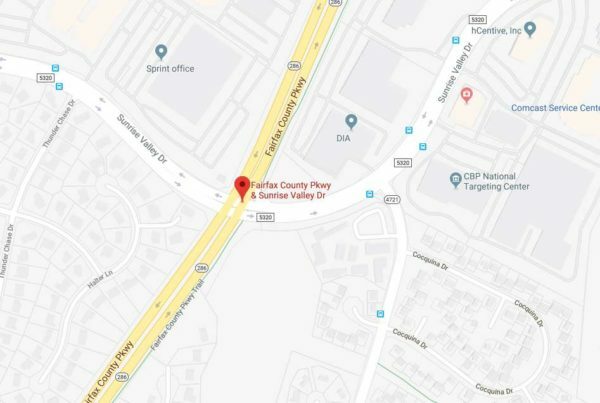 Fairfax County sent out a traffic alert at 1:21 p.m. about the crash. 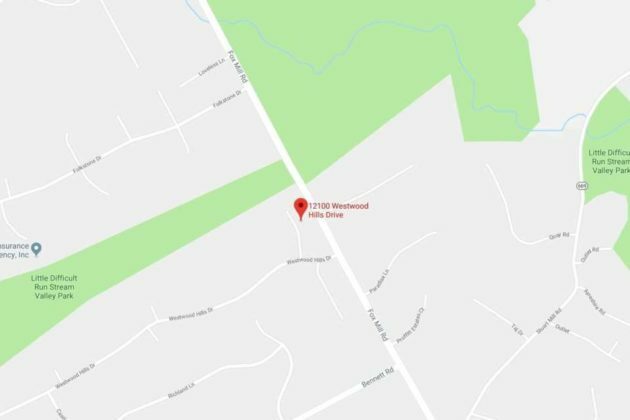 Six minutes later, Fairfax Fire and Rescue tweeted that crews were on the scene of the two-vehicle crash. Crews freed the driver about 10 minutes later. Two people were transported to a hospital with non-life threatening injuries, according to a second tweet at 1:36 p.m.
Fairfax County Fire and Rescue wants to educate locals on how to prevent issues when discarding fireplace ashes after a recent Herndon house fire. Fire investigators say that improperly disposed fireplace ashes in a trash bag caused the fire last week. 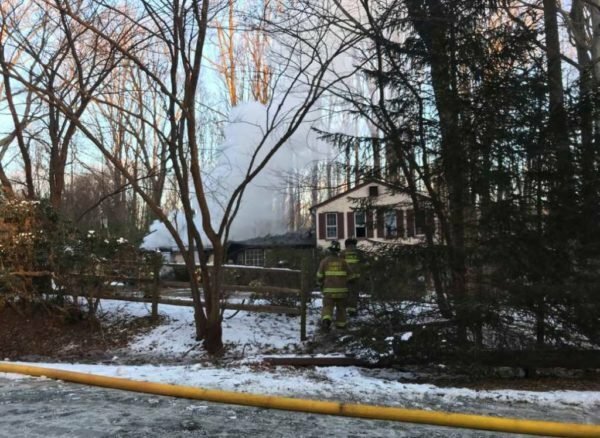 The investigators determined that the fire, which started in the garage, was an accident, according to Fairfax County Fire and Rescue. 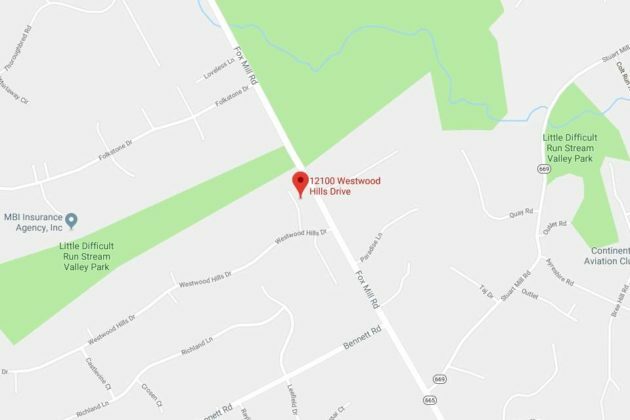 Firefighters had the fire under control in about two hours after arriving at the two-story, single family home in the 12100 block of Westwood Hills Drive on the morning of Jan. 31. The Red Cross has put the displaced family of two adults and three kids up in a hotel. A GoFundMe page is currently raising funds to help the family cover the costs of “small things that add up” — clothes, toiletries, shoes, coats and more — with the hope that insurance will cover the larger losses. 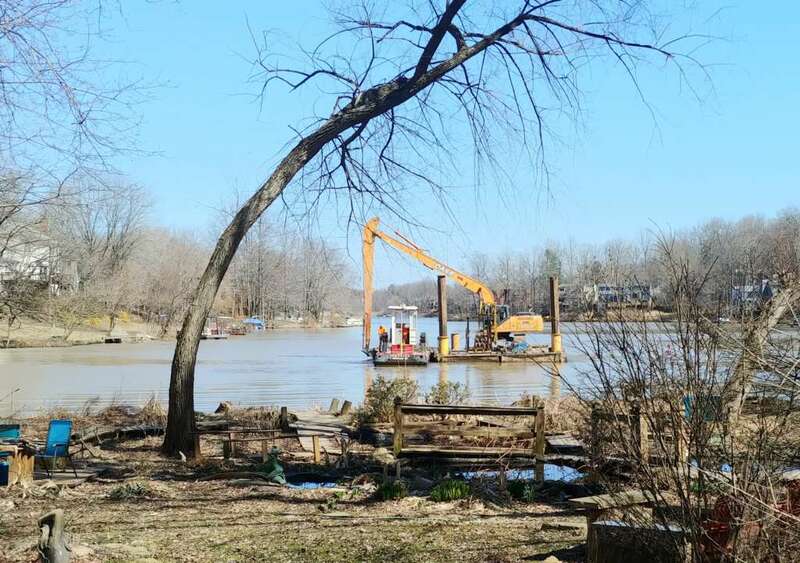 Damages from the fire were approximately $347,162, including exposure damage worth $43,000 to two vehicles and a boat near the house, according to the fire department. Additionally, the fire department recommends that all household members learn safety tips for ashes from a fireplace or wood stove. The fire department is also reminding people that ashes can stay hot for several days. 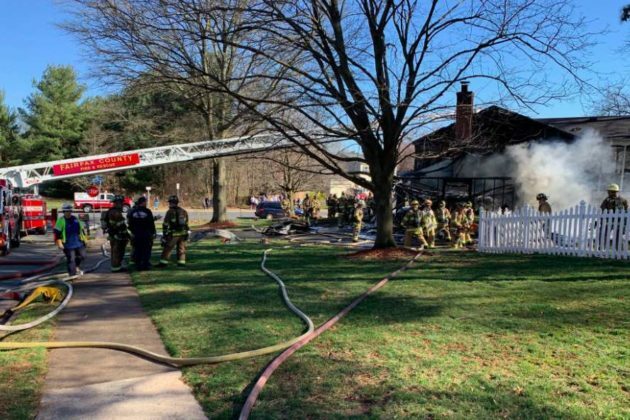 A GoFundMe page is raising funds for the family displaced after a fire broke out in their home in Herndon yesterday. The campaign, which was created and activated today (Feb. 1), aims to help Tim Gaffney’s family cover the costs of “small things that add up” — clothes, toiletries, shoes, coats and more — with the hope that insurance will cover the larger losses. In just a few hours, the GoFundMe page has raised nearly $2,000. The Red Cross has put the family up in a hotel, according to the fundraiser. January 31, 2019 Tim Gaffney woke to the smell of smoke. The entire garage was engulfed and it was quickly moving to the house. He woke Ryan and Tara and they were able to get out. Janeen and Sofia were in MA at a skating event. Flash forward 24 hours and my oldest friend in the world and her family are homeless. The Red Cross has put them up in a hotel and friends have rallied around them. But this is just day one. Our hope of course is that insurance will cover the larger losses. House. Cars. Boat. It’s all the small things that add up. Clothes. Toiletries. Shoes. Coats. We are asking for any help you can provide to get this family through the next really difficult months until they find their new normal. Anyone not comfortable with sending money is more than welcome to send gift cards. Anything — I mean anything — will be so appreciated. 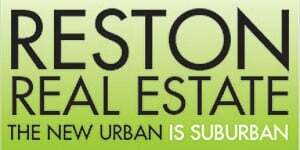 Thank you on on behalf of Tim, Janeen, Ryan, Sofia and Tara. 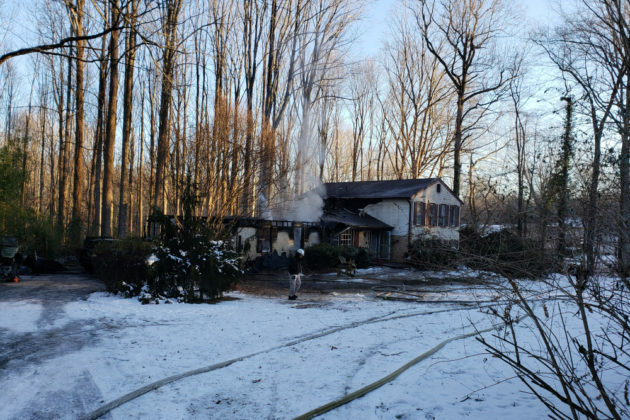 Firefighters had the fire under control in about two hours after arriving at the house in the 12100 block of Westwood Hills Drive around 6:38 a.m. on Jan. 31. The three people in the home at the time of the fire were able to self-evacuate. Two of the occupants received treatment for smoke inhalation, according to the fire department.